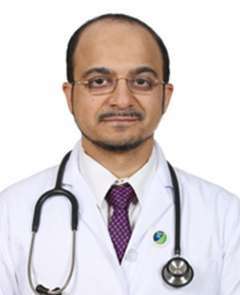 Dr. Murtaza is Post graduate from the prestigious Kasturba Hospital, Manipal. He has worked under one of the doyens and founders of Laparoscopic Surgery in India, Padmashri Dr. P.K. Chowbey at Sir Ganga Ram Hospital, New Delhi, where he performed a wide array of advanced laparoscopic surgery including advanced Bariatric surgery which was his super-specialty training under the National Board of Examinations, India. 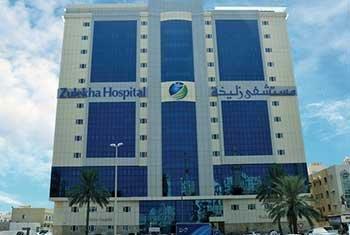 Dr. Ritu Khare is a surgeon at the Al Zahra Private Hospital in Dubai (UAE). 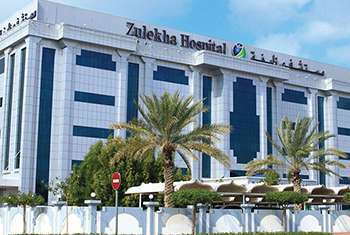 She has expertise in the field of advanced laparoscopic surgery, gastrointestinal surgery, bariatric surgery and all forms of breast and thyroid surgery. She is practicing in the Emirates for the last 11 years. 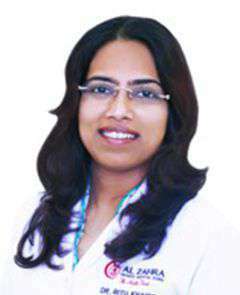 She has done her Masters in General Surgery from the King Edward Memorial Hospital, Mumbai, followed by a specialization in Gastrointestinal Surgery from the Sanjay Gandhi Postgraduate Medical Institute at Lucknow, India. She is a member of the Royal College of Surgeons of Edinburgh. She has been trained in advanced laparoscopic surgery at the Institute of Laparoscopic Surgery at Bordeaux, France. Post-graduation in General Surgery from Prestigious National Board of Examination, New Delhi. 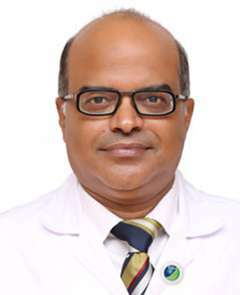 He got the opportunity to join Christian Medical College & Hospital (CMC) which is one of the largest tertiary hospital and medical college in India, where he worked as Tutor than the consultant. Dr. Uday has performed a wide range of surgery related to General Surgery, Upper GI Surgery & Colorectal Surgery. 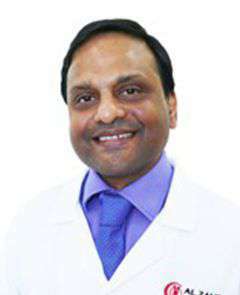 He brings along with him more than 10 years of vast experience in advanced laparoscopy surgery. 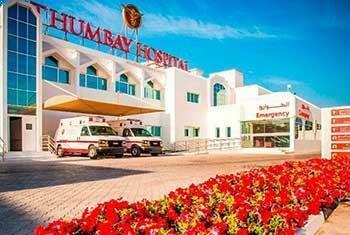 Dr. Udays special area of interest is Bariatric & Metabolic surgery for obese people suffering from metabolic syndrome (like Diabetes, Hypertensive & Lipid Abnormality). 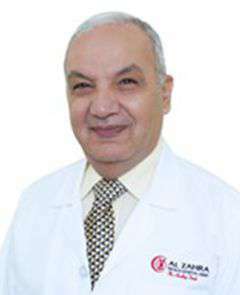 Dr Hashimi joined our team in Al Zahra Hospital in Dubai bringing an excess of 38 years of experience in complex surgery mostly in the UK. He has dual primary medical qualifications from London. In the UK he worked as a Consultant in General & Vascular Surgery and a Clinical Lecturer in Surgery. 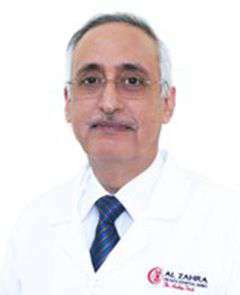 Subsequently he joined Tawam Hospital in Al Ain as the Chief of Surgery and Clinical Associate Professor of Surgery at the Faculty of Medicine and Health Sciences. Dr. Madan Samuel graduated from Gulbarga University, India. He was a 'Gold Medallist' in anatomy, forensic medicine and surgery. He trained at Southampton, Great Ormond Street Hospital, London and St. George's Hospital, London. He obtained post-graduate degrees from London University and University of Southampton. 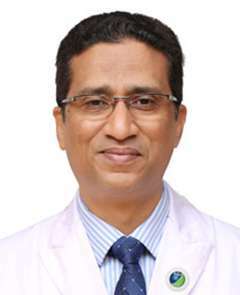 He completed his higher surgical training in Paediatric Surgery and Urology and obtained his 'Intercollegiate Board Examinations in Paediatric Surgery in 1999 and his CCST in 2003. He has been a 'Consultant Paediatric Surgeon & Urologist' for the past 10-years. 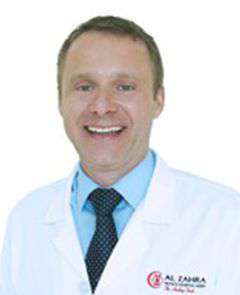 Dr. Marek Sepiolo is European Board-Certified in Vascular and General Surgery with 22 years of surgical experience. He specializes in varicose veins and chronic venous disease using cutting edge techniques, diabetic foot and chronic/non-healing wounds, dialysis access (AV fistulas, catheter insertion for hemodialysis), peripheral artery bypass surgery and endovascular procedures, IVC filter placement, port-a-cath insertion for chemotherapy, wound care (diabetic foot, chronic and non-healing wounds), DVT and anti-coagulation management. 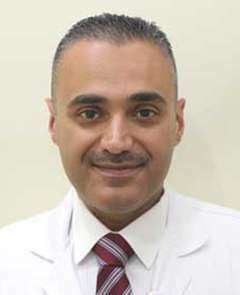 Dr. Younis Kazim has over 17 years' experience in Vascular Surgery. He holds memberships in European Society of Vascular Surgery, European Society of Surgery and Surgical Research and German Society of Vascular Surgeon. The Thyroidectomy doctor typically first sees the results of the tests ordered to assess the overall health of the patient. Based on the initial assessment, the doctor would prepare a treatment plan tailored according to the individualized needs of the patients. The treatment plan for Thyroidectomy, its alternative options, the pros and cons associated with each option and the treatment cost is thoroughly discussed with the patient to seek their approval. Once the patient gives his or her consent, the Thyroidectomy surgeon addresses his team members and shares the details of the case with them. The team members prepare for Thyroidectomy and share a scheduled date of the procedure with the patient. The patient is advised to follow a few instructions as given by the Thyroidectomy surgeon. 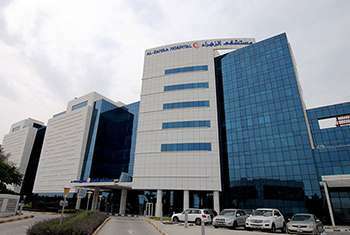 In addition, the Thyroidectomy hospital initiates the formalities and informs the patient about the estimated cost. The patient is accordingly required to submit documents for any insurance claim approval. What is the Thyroidectomy surgeon responsible for? The surgeon is responsible for the preoperative diagnosis of the Thyroidectomy patient, for performing the operation, and for providing the patient with postoperative surgical care and treatment. The surgeon is worked as the leader of the Thyroidectomy surgical team.